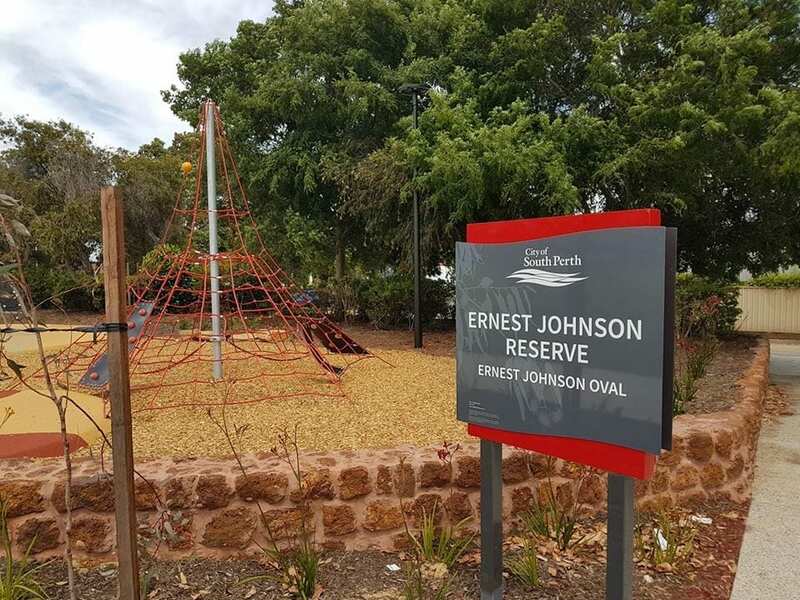 We recently stopped at the new Ernest Johnson Reserve playground in South Perth. 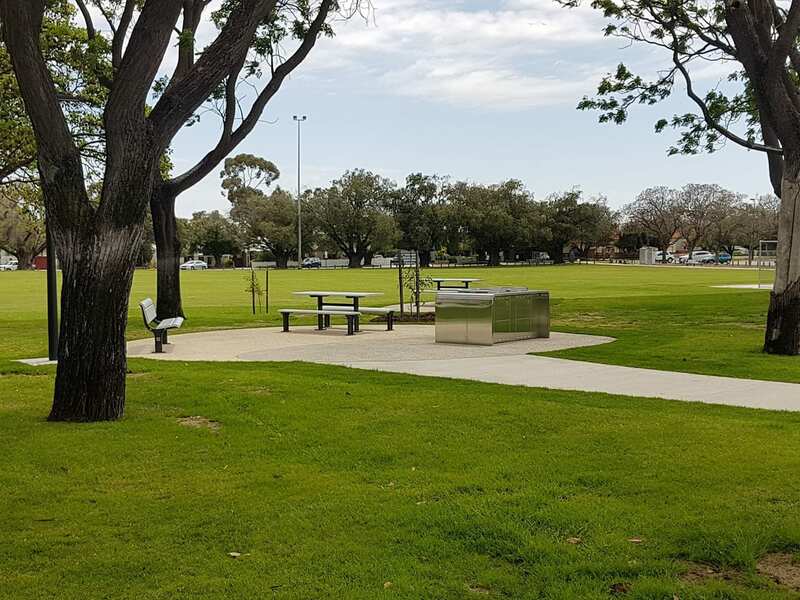 This is a great little playground with plenty for mixed ages, a large oval and bbq facilities. There is also a carpark with plenty of parking. The space is suitable for dogs with a drinking fountain and doggy bowl but dogs must stay out the playground. 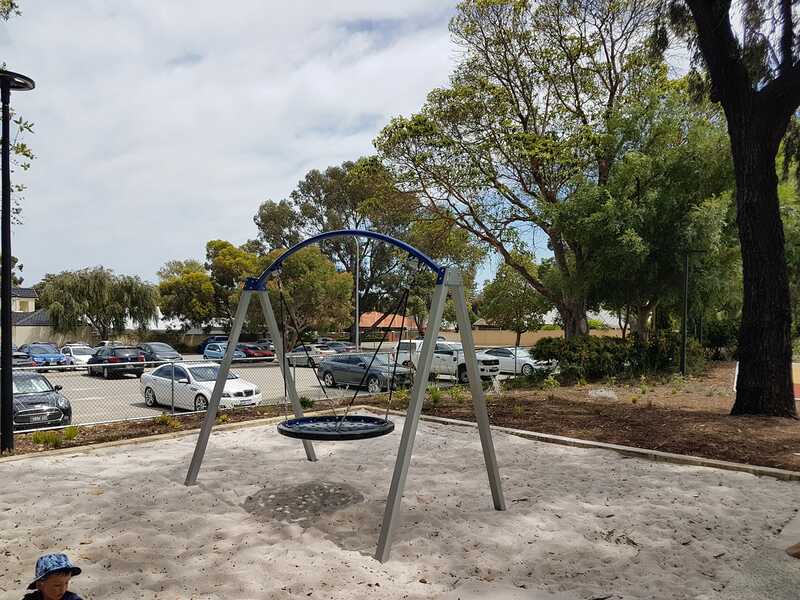 The playground area is spread out into about four separate areas. 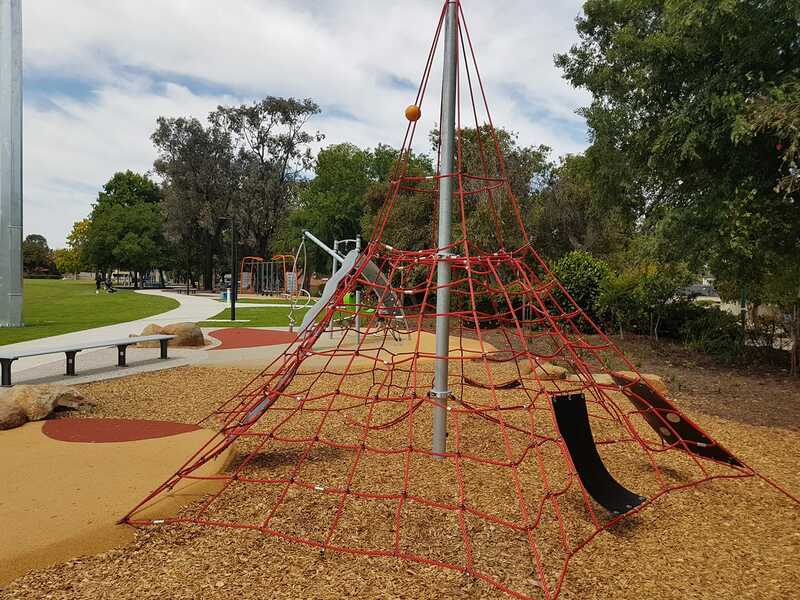 Each area does have benches or seating nearby parents can easily supervise their kids play. 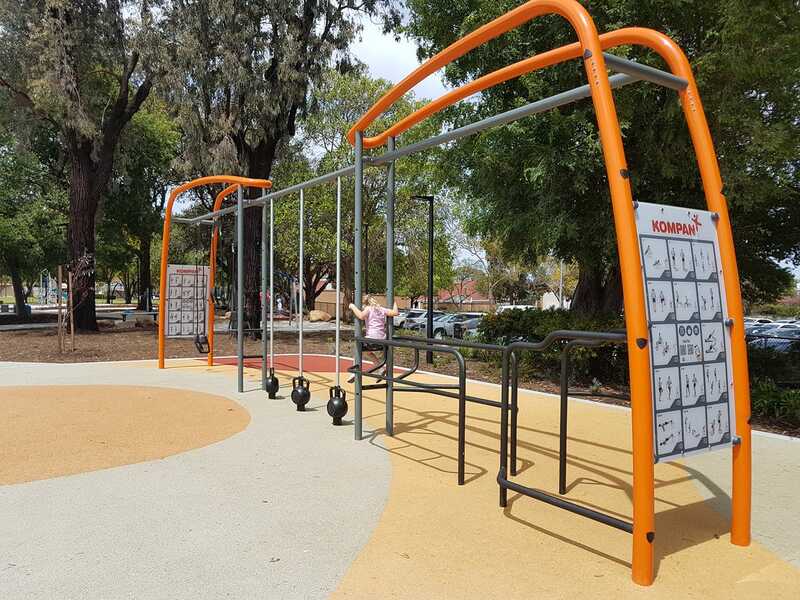 There is a large exercise frame, with picture instructions and a few smaller pieces of exercise equipment scattered around. Our daughter tried to use the main exercise frame as another piece of climbing equipment. We started at the climbing equipment at one end, this area had a climbing frame and a rope climbing frame with hammocks and seats. 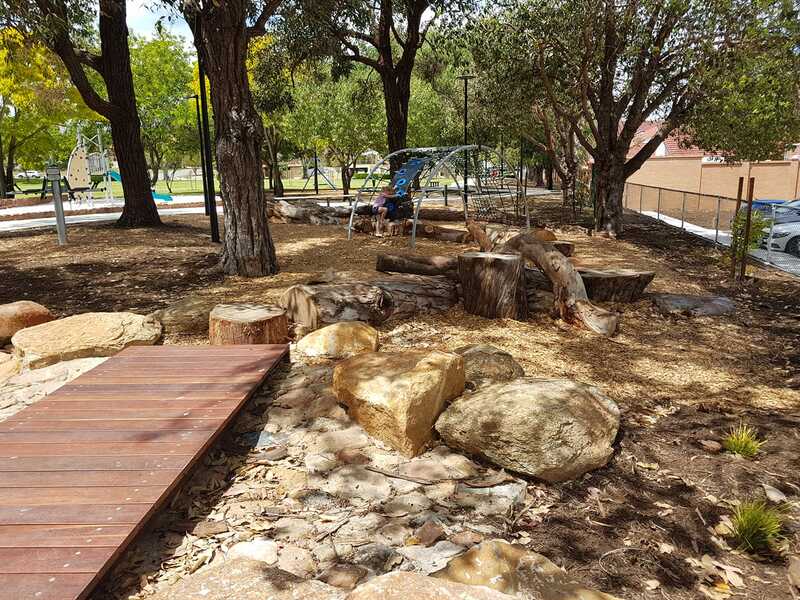 This area is a combination of soft fall and wood chips. 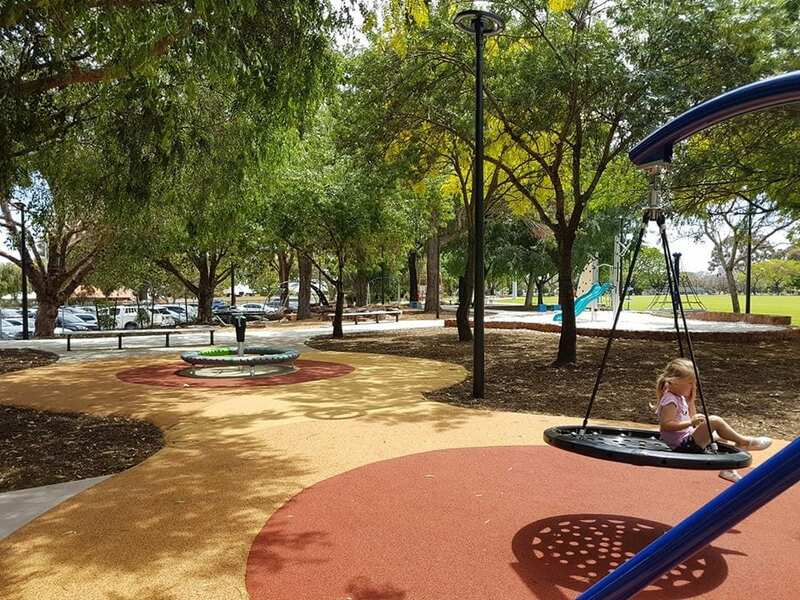 This play area didn’t have any natural shade or shade covering. Close to this play area, there were BBQs and picnic benches as well as lots of green grass to run around on. The next play area along was a nature-based play area. This area is shaded naturally by trees and is a wood chip base. 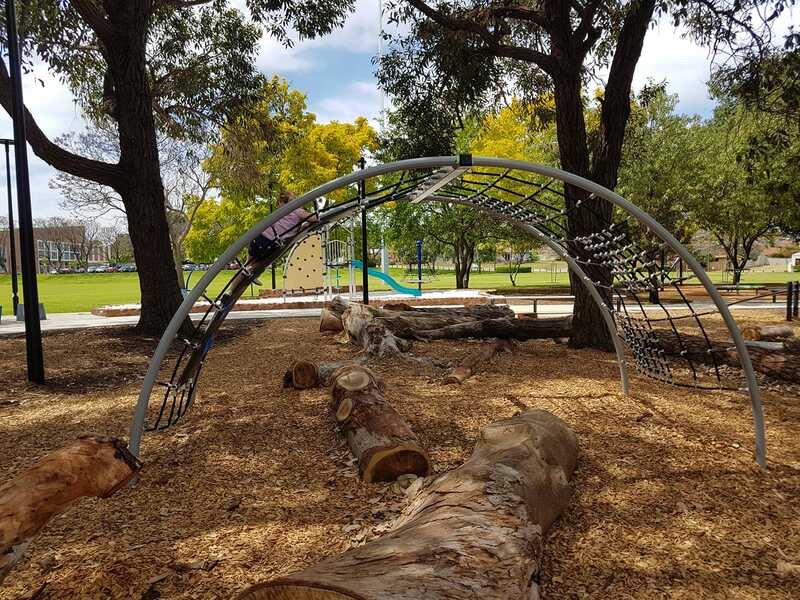 There are larger logs and rocks t climb and balance on a well as a climbing frame. To the side of this is a birds nest swing over sand. My daughter enjoyed this area and it was quite nice for me sitting under a tree watching her play. 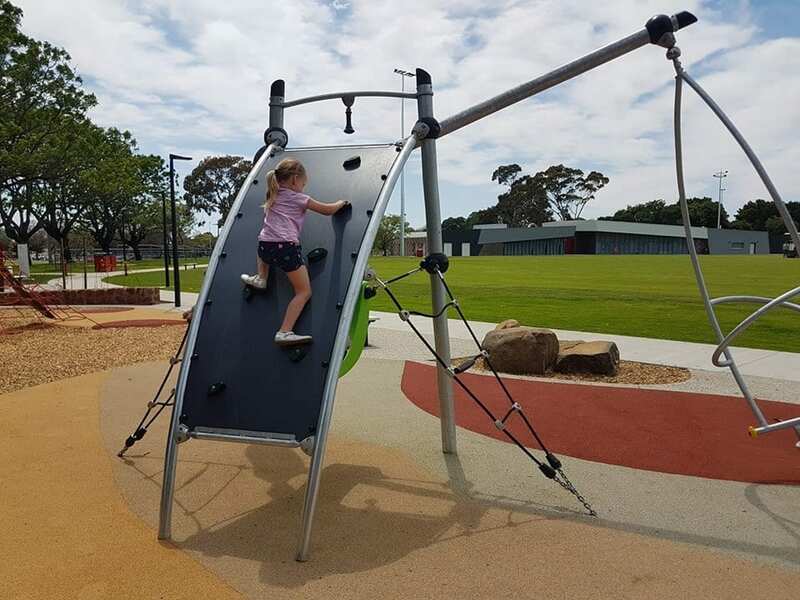 Across the pathway, there was some play equipment with a small slide, a climbing wall, a see-saw and a frame that can be climbed or spinner around. This equipment is sand based and not very much shade. At the end, there is another birds nest swings, this time over the soft fall base. Our daughter enjoyed the park as there was a good variety of things to do. Next time we will bring a ball and have a play on one of the two nearby ovals. 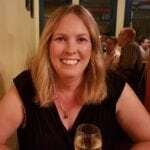 Located on Pilgrim St, South Perth. 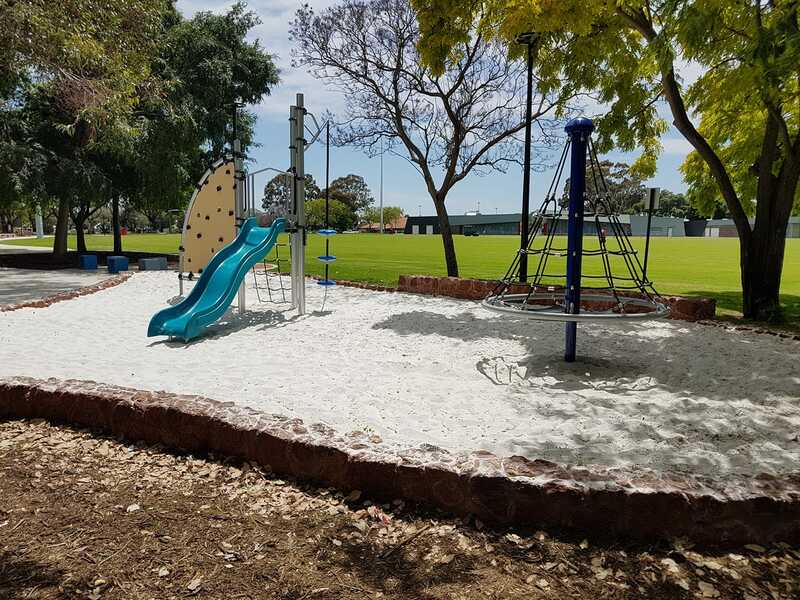 Find more playgrounds in Perth.